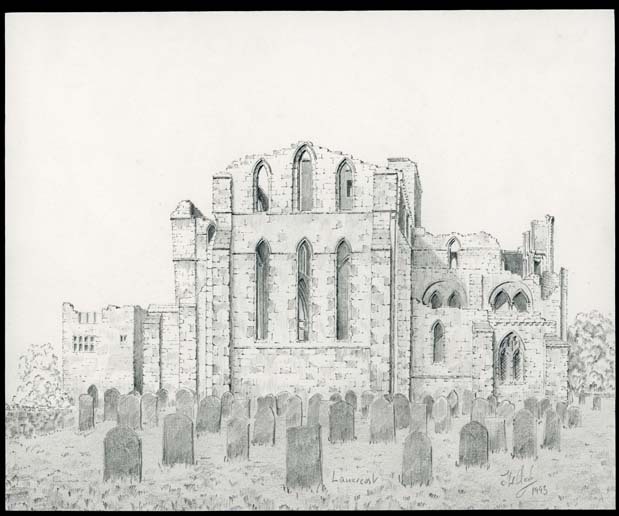 Original drawing by John Clark of the priory church at Lanercost. The drawing shows the front elevation with the remains of the priory walls with views through the windows to the interior. A graveyard features prominently in the foreground. Pencil on cream drawing paper.